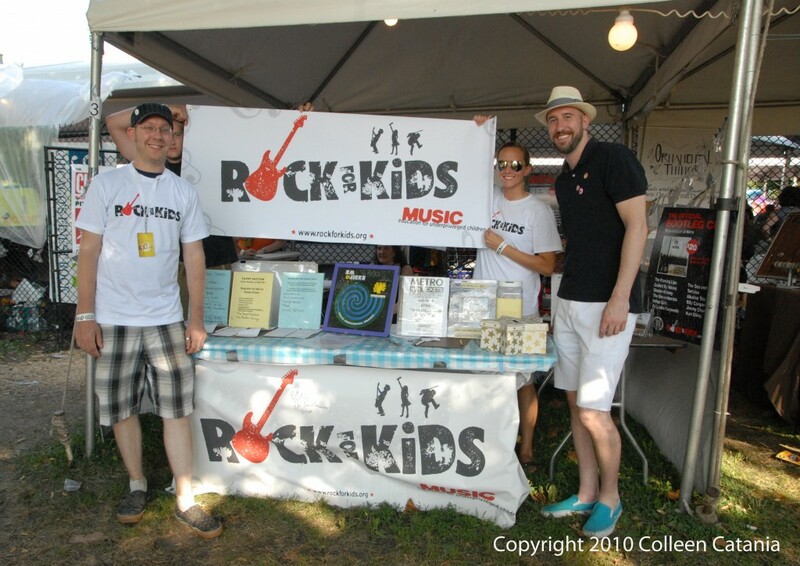 While we were at this year’s Pitchfork Music Festival we had the pleasure of talking with non-profit organization Rock For Kids about what inspires them to give children the opportunity to have their lives forever changed by learning how to play music and rock live in concert. On the last day of Pitchfork, we talked with Kyle Curry (on the left in the photo above), Special Projects Manager for Rock for Kids. In the interview we recorded live on-site, you’ll get to hear how Rock For Kids is changing the lives of children through the power of live music, what live performance tips and lessons the pros, like Andrew Bird and Buddy Guy, have taught kids through their music education programs, and what moments are on Kyle’s “Best Ever” list. I hope you enjoy the interview because it made me think even more about the critical beginning stages of the fan-to-artist transformation. We also have a bonus for you as Kyle answered a few extra questions about some of his favorite concert experiences, his top Pitchfork 2010 performances and what he’d like to change about live concert culture. Check out the links below to enter the Rock for Kids auction to bid on several very cool items from bands that played Pitchfork 2010. We also have more info on tonight’s record release show for the exclusive live bootleg Metro compilation CD. What was your first concert and what do you remember the most about it? I can’t remember the first concert I ever went to, but the first concert I went to that I really remember was a Face to Face/Weezer/No Doubt Concert in 1997. I remember the shared experience with my friends and the revelation of how exciting it can be to see music that I love translated into a live experience. If you could go back and re-live one concert what would it be and why? Oh man, I can’t pick just one I’m afraid. Definitely I’d love to revisit the Weezer /No Doubt concerts from those band’s golden ages, since those were the bands that made me love music. The Frames concert I saw on NYE in Dublin was a memorable concert I’d love to revisit. Martin Sexton /Guster /John Mayer at A. Finkel here in Chicago was a memorable experience just because so many of my friends and fraternity brothers were there and there was such a palpable excitement there. Bands such as the Flaming Lips and Mika and Sigur Ros who cram a lot of spectacle into their shows – there’s nothing like that first experience you have with them, so I’d love to re-live those experiences with a clean slate. If you could change or improve one thing about going to concerts what would it be and why? Can I change two things? First off, I’d make sure that ever concert I went to, I had spent adequate time listening to the recorded music from the openers and headliners. I almost always appreciate seeing music live more if I am familiar with the songs. The second thing I’d want to change is making sure that all of the other concert are respectful and courteous to the band and those around them. What was your favorite Pitchfork 2010 performance? I didn’t get to see nearly as much as I’d have liked, but the one performance that I saw in its entirety that I really loved was the Wolf Parade set. I think their live performance helped me appreciate their new CD more, and I loved hearing all of my favorite older tracks as well. 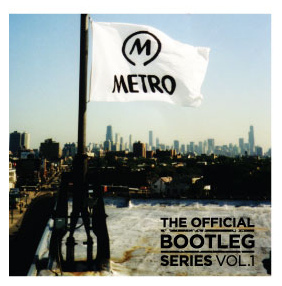 Tonight, July 22, Metro will celebrate it’s 28th Anniversary by releasing a live benefit compilation called Metro: The Official Bootleg Series, Volume 1. Proceeds from the sale of this CD will benefit Rock For Kids. And you can buy it online here. The release party is free and there will be a hosted bar. Anyone who buys a copy of the CD at the event will be entered into a raffle to win a pair of SRH440 Professional Studio Headphones from Shure. Thanks again to Kyle and Rock For Kids for telling their stories. Visit Rock For Kids to learn more and get involved.